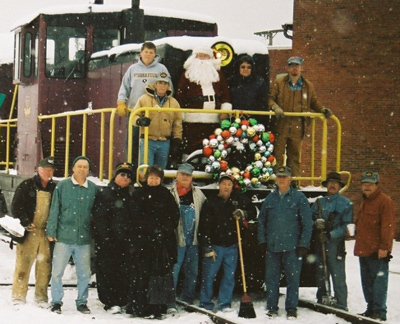 Santa & Byesville Scenic crew during a snowy Christmas Excursion, Dec. 2007. 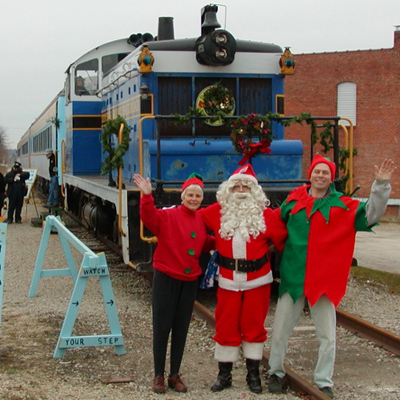 Crew members Aaron, John and Wesley wishing season's greetings. 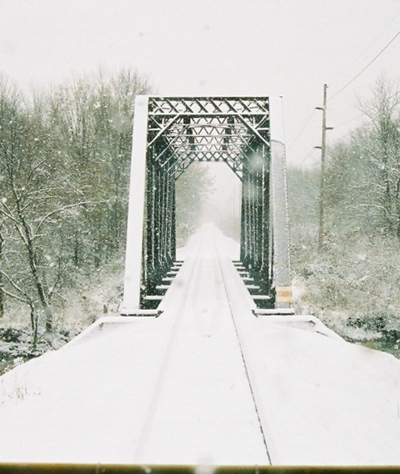 Approaching a snow-covered No. 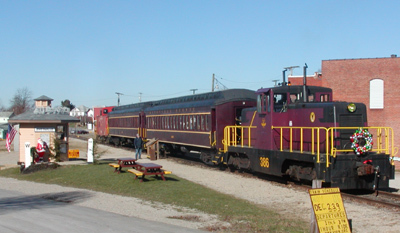 5 bridge. 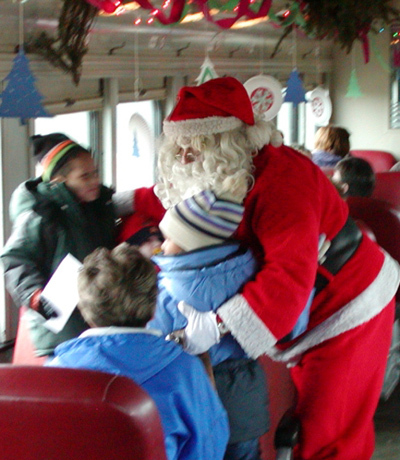 Santa greeting the excited children on board the train. 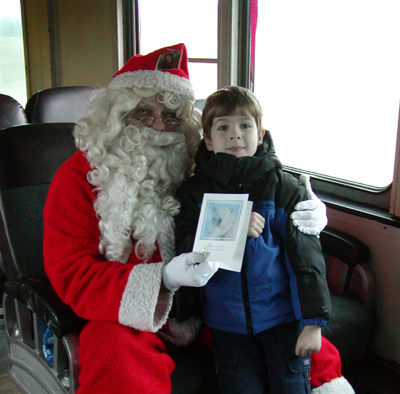 Santa receiving a Christmas card with holiday wishes. 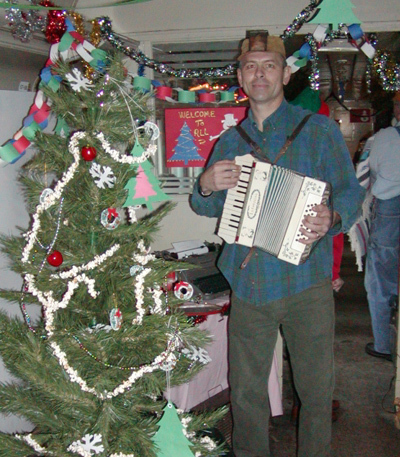 Coal Miner Steve entertaining holiday guests with Christmas music. 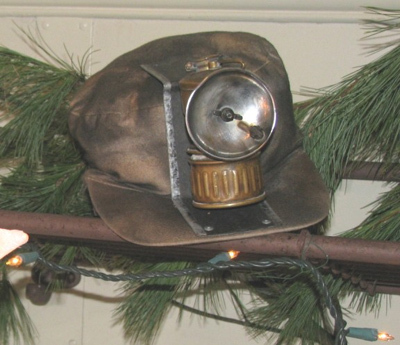 Miner's cap & carbide lamp- reminiscent of a coal miner's Christmas. 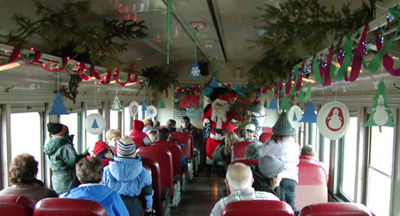 Christmas decorations in the coach cars. 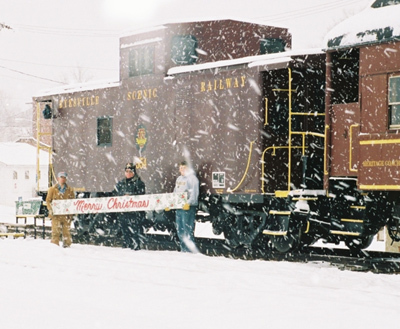 Young rider anxious to board Christmas Excursion in Dec. 2006. 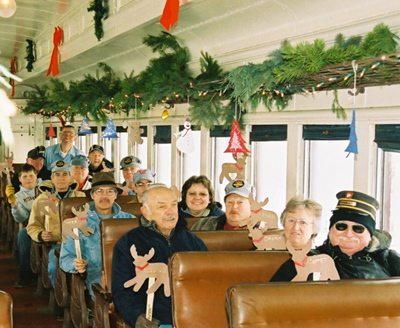 Christmas Excursion departing Byesville on a sunny day in 2006. 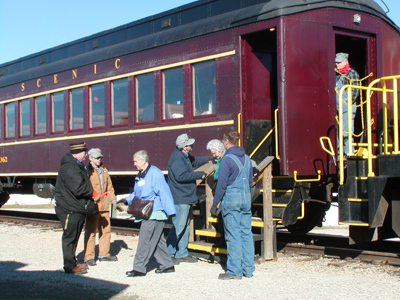 Holiday passengers departing at Byesville Station. 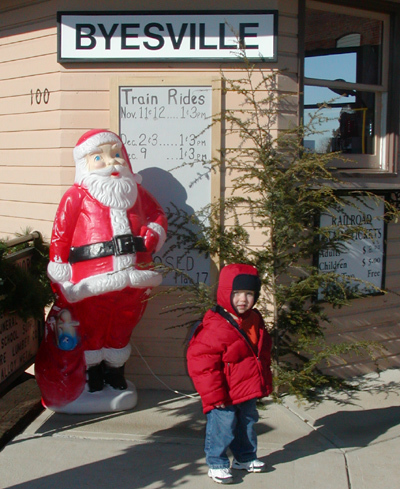 Reggie and Steve with Santa back in the Buckeye Central days. 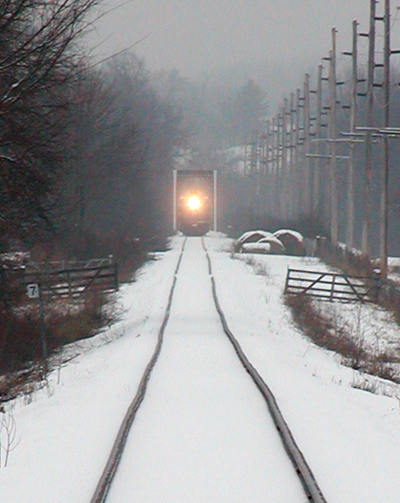 Christmas Excursion traveling through the snowy landscape south of Byesville.